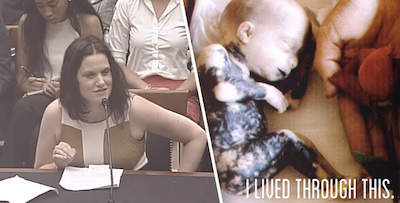 She Survived A Saline Late-Term Abortion, And This Is What She Had To Say To Congress. Gianna Jensen survived a late-term saline abortion when her mother was 7 1/2 months pregnant. At that time, if the baby happened to be born alive, the typical response would be to strangle it. However, the nurse on duty grabbed her and immediately called an ambulance. 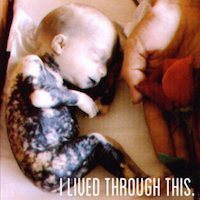 She tells her remarkable story of when, 38 years ago, she survived this horrendous abortion where she was left to be burned alive from the inside out from the saline as she died in her mother’s stomach. Born with cerebral palsy due to her complicated birth, she hopes to raise awareness of the practices of abortion clinics.